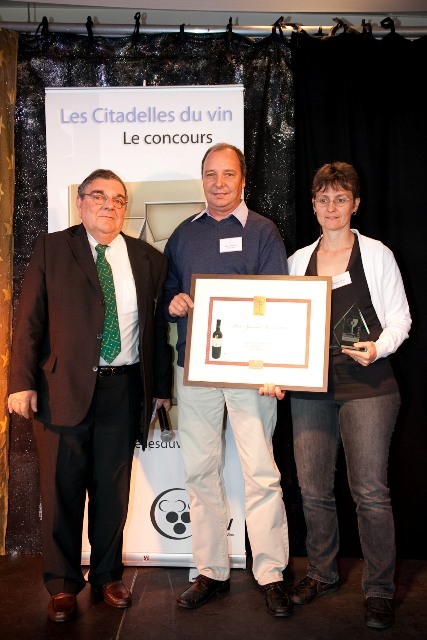 CITADELLES DU VIN AWARD CEREMONY : PRODUCERS' EXCELLENCE REWARDED. 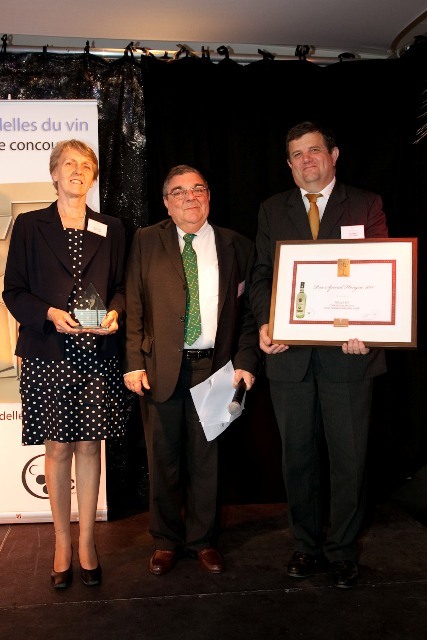 Close on sixty people accepted the Concours des Vins (CDV) invitation to attend the Citadelles du Vin award ceremony that was held on Saturday 18th June at the Bordeaux Casino Barrière just one day before Vinexpo. 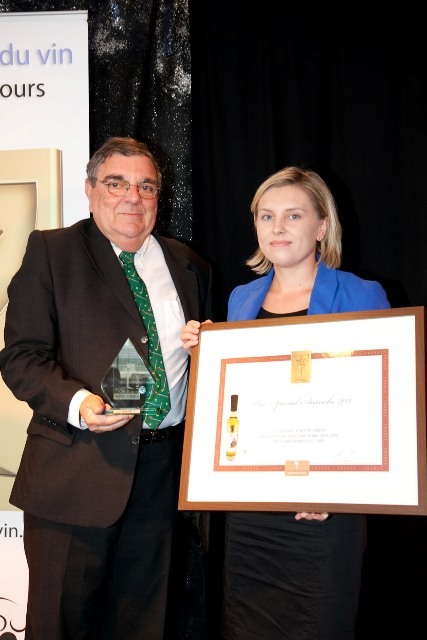 There was a joyful and friendly ambiance complete with a gypsy jazz band and the lively music set the tone for the memorable evening. 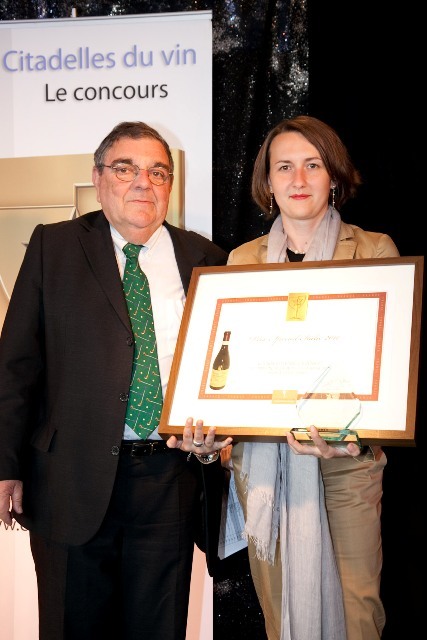 The President, Mr Bernard Donèche and the Director, Mrs Fabienne Cortadi, awarded the 18 Special Prizes by Country. 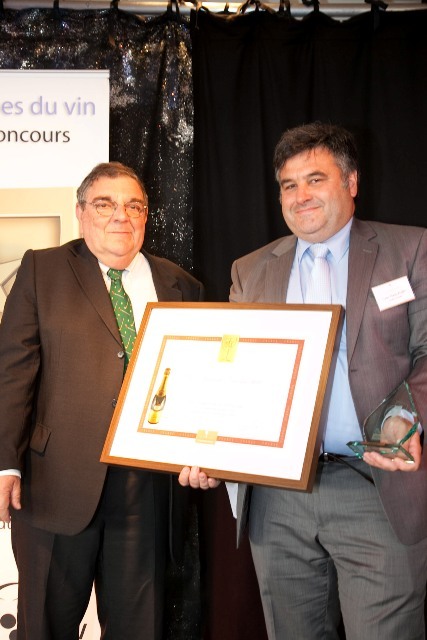 Michael Schaefer, a journalist who is a member of FIJEV (Federation of Wine and Spirit Journalists and Writers) joined them to award the 2 FIJEV Special Prizes for « Wines from the Middle and Near East ». 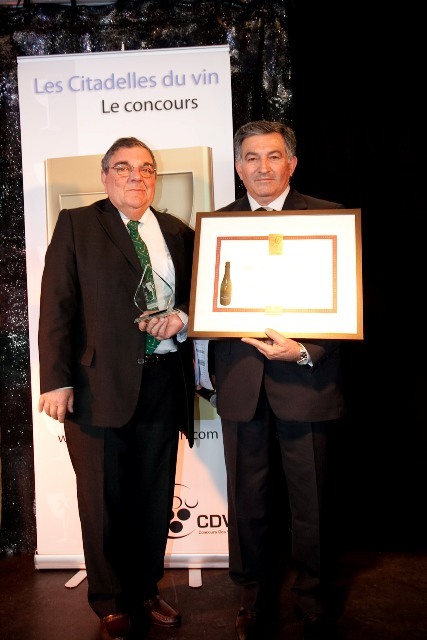 Then it was the turn of Hervé Romat, CDV Commissioner General, to mount the podium to present the Malbec International Competition Special Prize for Northern Hemisphere. 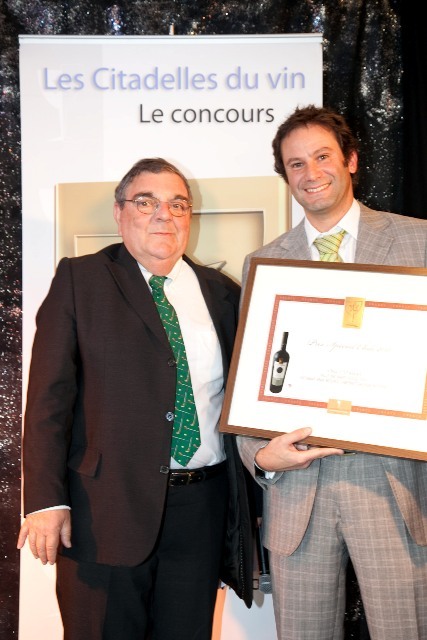 Mr Alain Rosier, who was France’s best sommelier in 1976, commented on the award-winning wines to the award-winners. 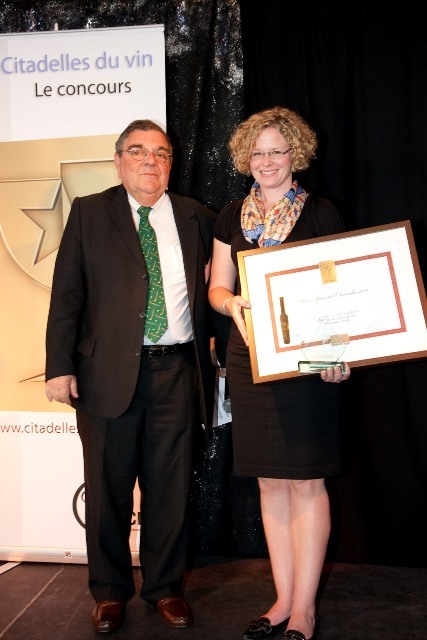 Buyers, market players, prescribers and international journalists were on site to congratulate the award-winners. 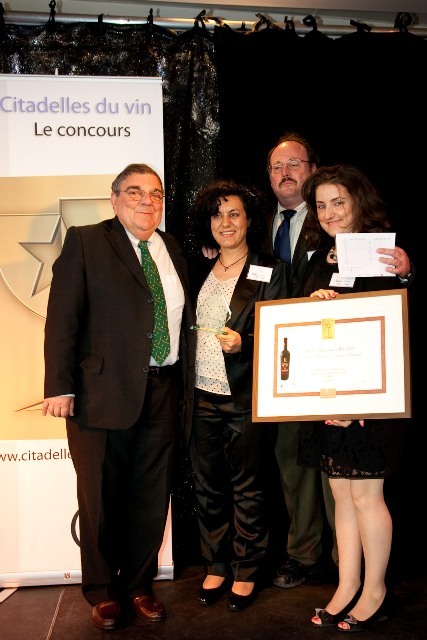 Italian Vice-Consul in Bordeaux , Mrs Stéphane Felici, had also made the trip to congratulate the award-winner from Italy. The guests then met up for a cocktail evening with music. 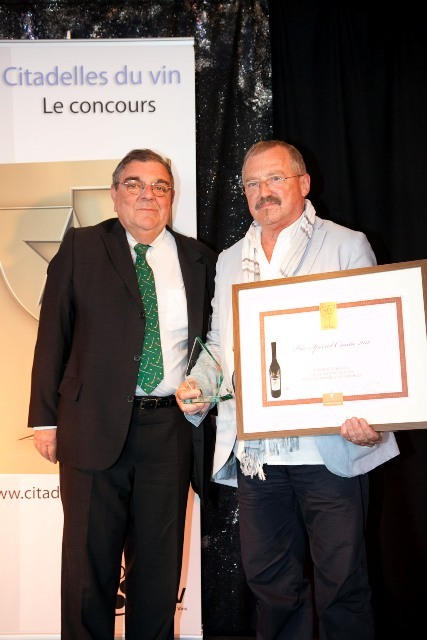 All the Special Prizes and all the wines that won a Trophée Citadelles (gold medal) at the 2011 Citadelles du Vin were available for tasting. 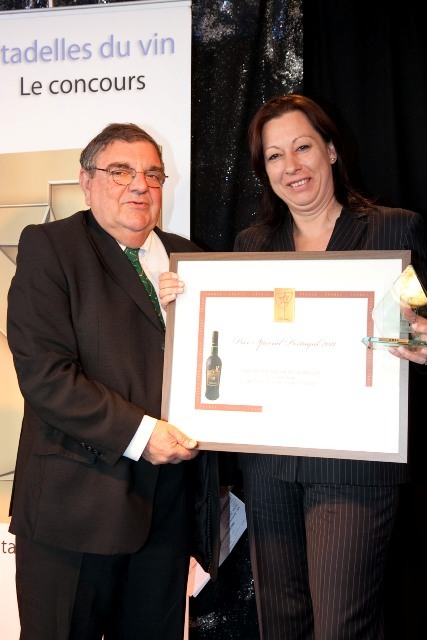 Each visitor was able to discover wines of excellent quality, grown on the five continents, and appreciate the characteristics that secured a gold medal for the fine wines. 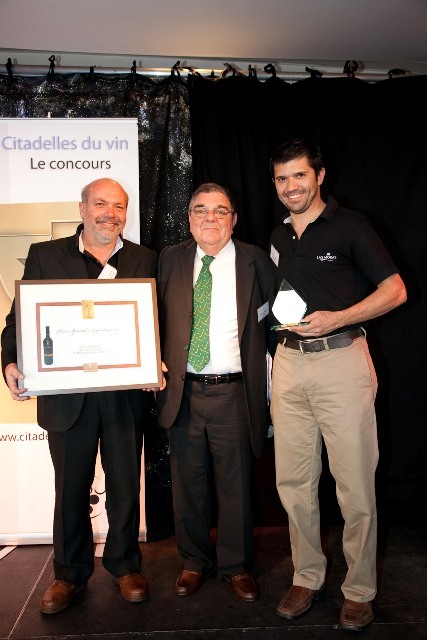 During the Vinexpo Bordeaux wine trade fair that followed, visitors were able to find and taste the Special Prizes by Country and the 2011 Special FIJEV Prizes at the Citadelles du Vin booth. 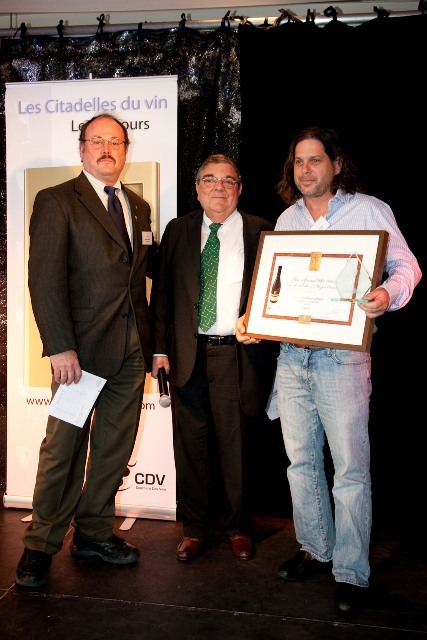 Left to right : Michael Schaefer, journalist and member of FIJEV, Bernard Donèche, President of CDV, Micha Vaadia representing the company Galil Mountain Winery. 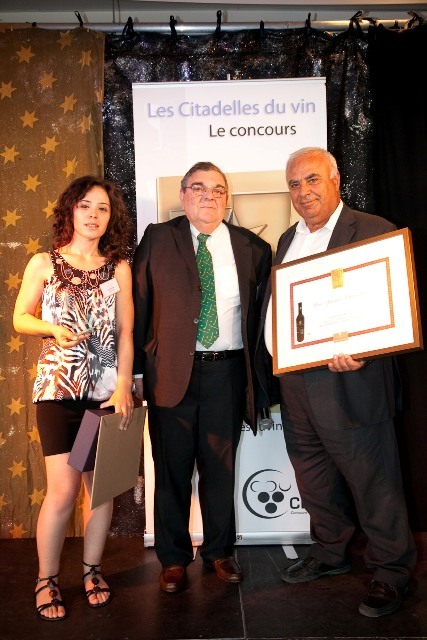 Left to right : Bernard Donèche, President of CDV, Nathalie Touma representing Château St Thomas, Michael Schaefer FIJEV journalist, Claudine Touma from Château St Thomas. 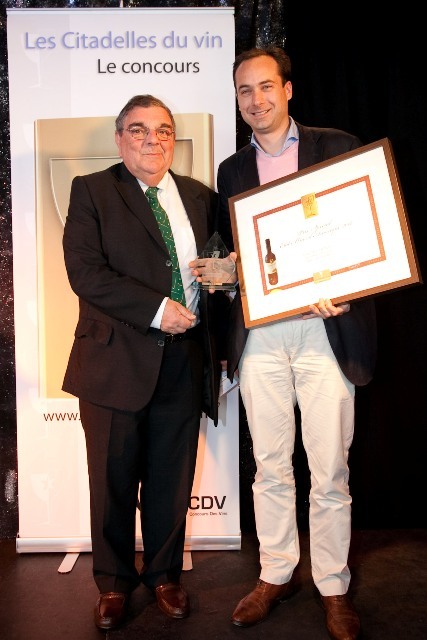 Product : Principovac Traminac Locki Podrumi D.D.